The spring 2018 Yarn and Yoga Retreat was held at Camp Mikell in Toccoa, Georgia last weekend and we wish you had been there! 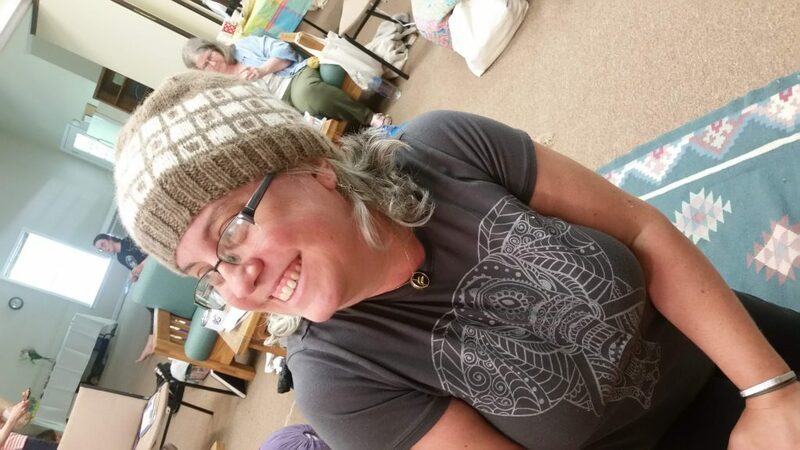 You can read more about the retreat at Kquvien’s blog, check out the posts tagged #yarnandyogaretreat on instagram, then hurry up and register for next retreat in Dahlonega, Georgia on November 15-18 at the Yarn and Yoga Collective website. 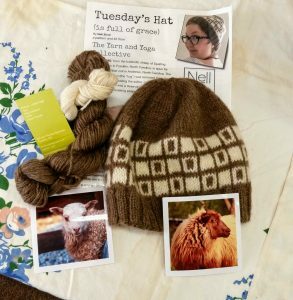 One of my favorite things about this year’s retreat was launching an exclusive pattern kit called “Tuesday’s Hat (is full of grace)”. The pattern was written by Nell Ziroli for our very own Sevanna 240 yarn! And then there was Princess Hope, the baby house llama. Seriously. I need a house llama. Previous PostPrevious Fiber Feel Day! Next PostNext Better hurry up and reserve your spot!